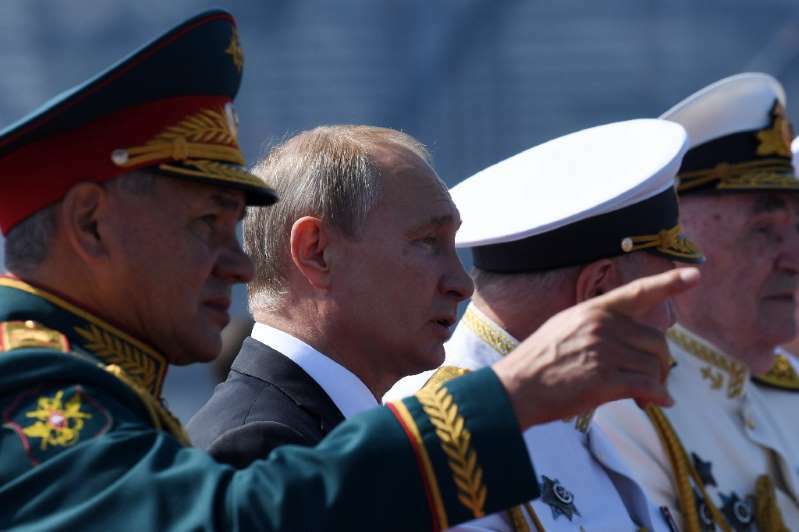 Russia's navy will deploy a total of 26 new ships this year including four carrying Kalibr cruise missiles, President Vladimir Putin said Sunday as the country celebrated Navy Day with a show of strength. [post_ads]"In total in 2018 the navy should get 26 new warships, motor boats and vessels including four warships with Kalibr cruise missiles," Putin said in the northwestern city of Saint Petersburg, Interfax news agency reported. Kalibr missiles fired from Russian ships in the Mediterranean and the Caspian have been used as part of Moscow's military intervention in the conflict in Syria in support of President Bashar al-Assad. 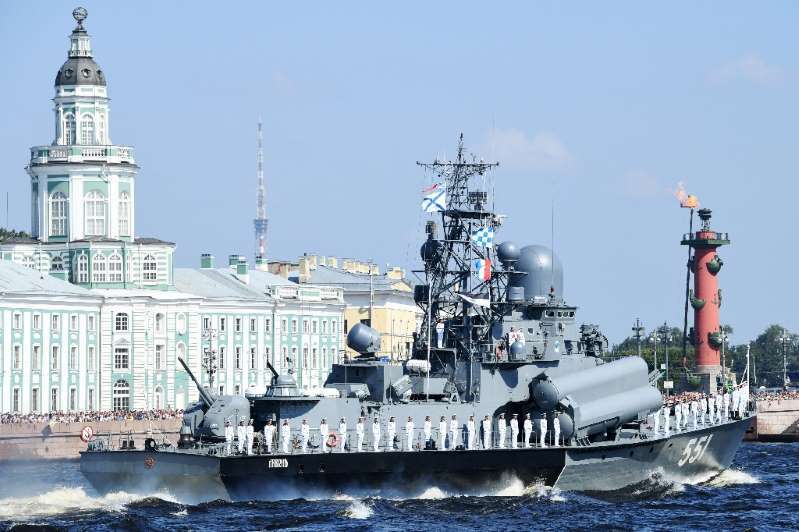 The commander of the Black Sea fleet, which is based in Crimea's port of Sevastopol, Vice-Admiral Alexander Moiseyev said six new vessels including missile ships would be inducted by the end of the year, Interfax added. He told the 4,000 servicemen taking part that the navy "is making a weighty contribution to the fight with international terrorism. "Of course we will continue measures aimed at strengthening and developing the navy, boosting equipment," Putin said. 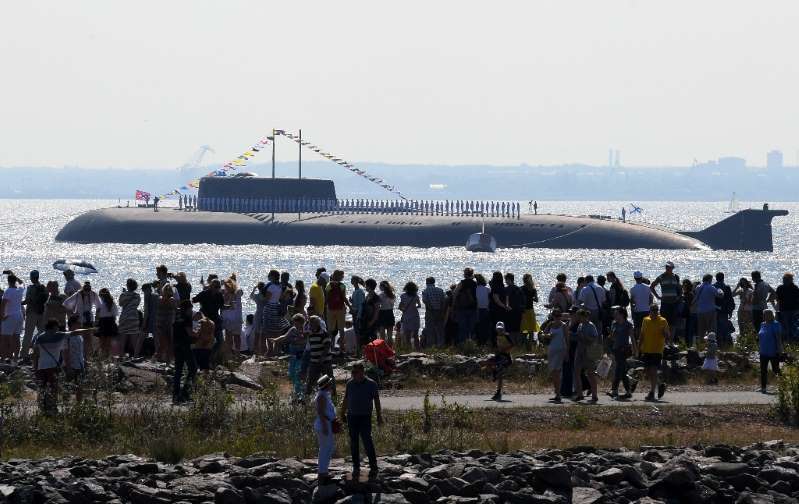 The Navy Day celebrations also included a parade in Russia's Syrian base of Tartus in the Mediterranean for the second time, involving five ships and the Kolpino diesel submarine, the defence ministry said on Facebook.